PERRYSBURG, Ohio (October 30, 2018) - Owens-Illinois, Inc. (NYSE: OI) today reported financial results for the third quarter ended September 30, 2018. "Our third quarter results were in line with management's guidance, despite headwinds from foreign currency and transitory volume trends," said Andres Lopez, CEO. "Our European operations profited from ongoing favorable sales mix, pricing dynamics and continued cost reduction efforts. In the Americas, O-I demand for glass was modestly positive when incorporating the strong year-on-year performance of our joint venture with CBI. In Asia Pacific, we successfully completed our asset advancement projects for the year and will return the region to more normalized margins in the fourth quarter. 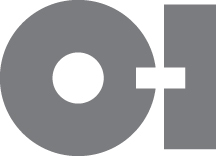 Building on a solid foundation at O-I, we expect renewed growth in sales, margins, earnings and cash flow in 2019 and beyond." For the third quarter of 2018, earnings from continuing operations were $0.75 per share (diluted), compared with $0.77 per share in 2017. The adverse impact of foreign currency exchange rates was $0.04 in the quarter. Net sales were $1.7 billion, which was 3 percent lower than prior year third quarter, largely due to the adverse impact of the stronger U.S. dollar. Shipments declined compared with prior year, primarily due to the transfer of production to our joint venture with Constellation Brands and the impact of the poor 2017 grape harvest in Europe. These headwinds were partially offset by price gains, which were reported in all segments. Earnings from continuing operations before income taxes were $168 million for the third quarter compared with $172 million for the same period in 2017. Segment operating profit of reportable segmentsP for the third quarter of 2018 was $255 million, $5 million lower than prior year period. Excluding the $9 million adverse impact from foreign currency, segment operating profit was up 2 percent. Improved pricing, which modestly outpaced operating costs in the quarter, was a key factor driving results. In line with management expectations, segment operating profit in Europe was higher year-on-year, nearly flat in the Americas and lower in Asia Pacific. The Company repurchased approximately 0.7 million shares in the quarter. Through the third quarter of 2018, the Company repurchased a total of 5.4 million shares. In October, the Company received the Vision for America Award, which is presented annually by Keep America Beautiful. The Company was selected for significantly enhancing civic, environmental and social stewardship. O-I is the first food and beverage packaging company to achieve a gold rating in material health on the Cradle to Cradle Product Scorecard. The Company also published an updated Corporate Social Responsibility report, which may be found on O-I.com. Net sales in the third quarter of 2018 were $1.7 billion, which was 3 percent lower than prior year third quarter. The impact of currency adversely impacted net sales by 3 percent, and manifested in every region, yet was most pronounced in Americas (down 4 percent) and Asia Pacific (down 7 percent). Prices were up approximately 2 percent, reflecting a favorable sales mix and ongoing cost inflation. Global sales shipments were down 2 percent compared with prior year. Sales in Europe were lower than prior year, despite higher shipments to non-alcoholic beverage customers. Shipments to wine customers declined due to the weak grape harvest in the prior year and to food customers due to mix management. Within the Americas, lower shipments in the U.S. - owing to shifting production to the JV with CBI and to ongoing trends in beer - were largely offset by gains reported in nearly every other country. Shipments in Asia Pacific were lower year-on-year, largely due to Australia, which had strong sales in the comparable period; shipments in the rest of the region were up nearly 10 percent compared with prior year. The Company's joint venture with Constellation Brands, Inc., continues to perform well, again reporting higher sales compared with prior year, driven in part by the fourth furnace that ramped up earlier this year. The fifth furnace is expected to be operational by the end of 2019. Segment operating profit was $255 million in the quarter, compared with $260 million in the same period of 2017. This decline was largely attributed to the $9 million unfavorable effect of foreign exchange currency rates. In Europe, segment operating profit continues to expand year-on-year. In the third quarter of 2018, segment operating profit was $87 million, up 7 percent compared with $81 million in the third quarter of 2017. This increase was essentially driven by price increases that more than offset cost inflation. The region was able to largely offset the non-occurrence of an energy credit through a gain related to an asset sale and the impact of continued progress in reducing its structural costs through restructuring and its Total System Cost improvement. Segment operating profit in the Americas in the third quarter of 2018 was $158 million, nearly on par with prior year. The favorable price gains reported across the region kept pace with cost inflation. In addition, the impact of lower volumes was fully offset by improved product mix and a gain related to a favorable court ruling in Brazil, which will allow the Company to recover revenue tax paid from previous years. Segment operating profit in Asia Pacific in the third quarter of 2018 was $10 million. The magnitude of the year-on-year decline was in line with management expectations; sequentially, segment operating profit margins in the third quarter were substantially higher. Planned asset improvement projects in the region drove operating costs higher. With the successful completion of these projects, Asia Pacific is expected to benefit from improving production volume and lower manufacturing expense going forward. As a result, fourth quarter segment operating profit is expected to be nearly double prior year fourth quarter. Retained corporate and other costs were in line with prior year. Planned increased investments in research and development were offset by lower selling and administrative expenses. The Company continues to actively manage its debt structure to mitigate financial risk, lower interest expense and reduce complexity. Net interest expense was essentially in line with prior year. While variable interest rates have been rising in the U.S., the Company benefited from lower pricing under its Bank Credit Agreement and its exposure to variable rates in Europe, which have been largely stable. The Company launched its $400 million share repurchase program during the first quarter of 2018. In the third quarter of 2018, the Company repurchased approximately 0.7 million shares for approximately $12 million. Through the third quarter of 2018, the Company has repurchased 5.4 million shares for $107 million. For the full year 2018, the Company expects earnings from continuing operations to be in the range of $2.26 to $2.32 per share. Excluding certain items management considers not representative of ongoing operations, the Company expects adjusted earnings to be in the range of $2.72 to $2.78, based on foreign currency exchange rates as of the end of third quarter 2018. Management efforts to drive operational improvements are partially offsetting incremental pressure from the strong US dollar and lower-than-anticipated sales volumes in the second half of the year. The Company expects cash provided by continuing operating activities for 2018 to be in the range of $750 to $775 million and adjusted free cash flow to be in the range of $350 to $375 million. These estimates are $25 to $50 million lower than prior guidance. The impact of currency continues to weigh on cash generation translated into US dollars. And, inventories are now expected to be a use of cash, due to the revised outlook for sales volumes in late 2018. O-I CEO Andres Lopez and CFO Jan Bertsch will conduct a conference call to discuss the Company's latest results on Wednesday, October 31, 2018, at 8:00 a.m. EDT. A live webcast of the conference call, including presentation materials, will be available on the O-I website, www.o-i.com/investors, in the Webcasts and Presentations section. The conference call also may be accessed by dialing 888-733-1701 (U.S. and Canada) or 706-634-4943 (international) by 7:50 a.m. EDT, on October 31, 2018. Ask for the O-I conference call. A replay of the call will be available on the O-I website, www.o-i.com/investors, for a year following the call. O-I's 2018 earnings conference call is currently scheduled for Wednesday, February 6, 2019, at 8:00 a.m. EST. Segment operating profit of reportable segments ("segment operating profit") is a non-GAAP financial measure. See tables included in this release for reconciliations to the most directly comparable GAAP measures.